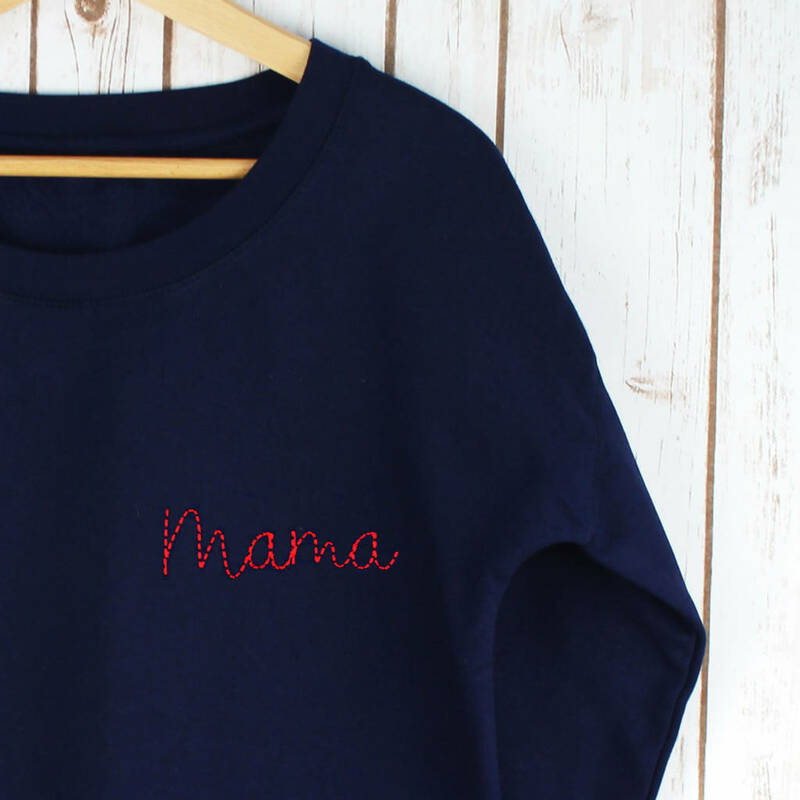 A stunning set of an embroidered Mama ladies sweatshirt and a baby's matching onesie. This handcrafted set features a supersoft ladies sweatshirt with a baby's coordinating cotton onesie. 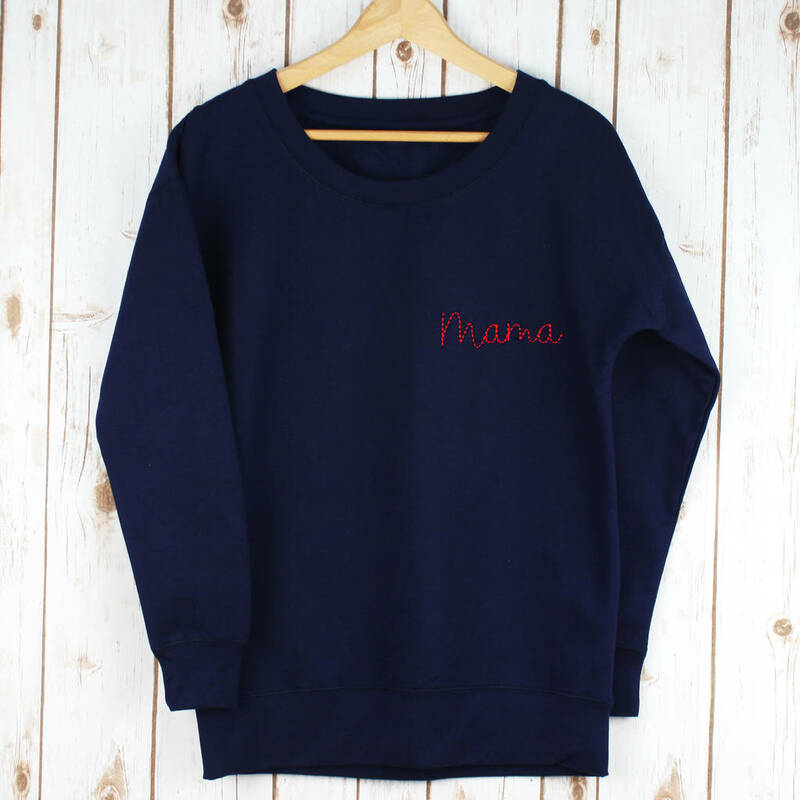 The ladies jumper has the word 'Mama' embroidered and the onesie has the words 'Mini Mama' in a matching style. The matching onesie is pure cotton with short sleeves.